Apple Crunch Pupcakes : After going apple picking, you alway come home with way too many apples to eat and sometimes to even give away. Our pups are obsessed with apples, so why not share the wealth with them! I mean, they did come with you to pick out the perfect ones, so they should get to enjoy in on the feast! 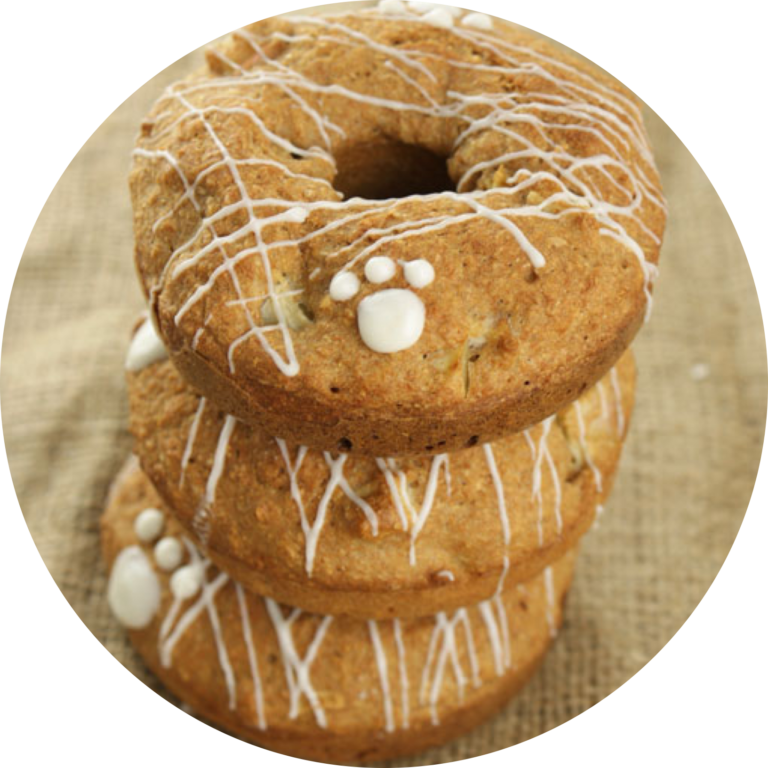 Therefore, we have the BEST recipe for your pups to drool over! First preheat oven to 350 degrees F! In a large bowl mix the water, applesauce, egg, honey and vanilla together with a whisk. Now combine gluten free flour and baking powder and stir into the wet ingredients. Put mixture into greased muffin tin and bake for 35 minutes. After cooling, melt CANDIQUIK according to package directions and decorate away! We hope you have fun making them and that the pups have even more fun eating them!